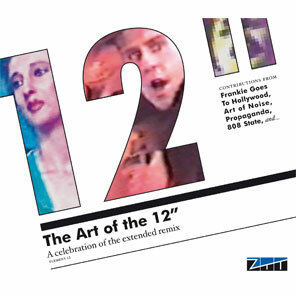 Perhaps in response to my earlier plea, ZTT are releasing an Instinct track on one of their new compilations. The album is “The Art of the 12 Inch” (Catalogue number SALVODCD213) with track 6 on CD1 being “Sleepwalking – 12inch Extended Mix” by Instinct. The album is released on 7th February 2011. The track is previously unreleased and, to be honest, I thought it would never see the light of day. The Jazz Cafe website now has more details about the 26th March gig. The new line up features original members Chris Lee (trumpet – the Pogues, Kirsty MacColl), Ollie Moore (saxes – Neneh Cherry, The Abyssinians) and Kofi Adu (drum kit – Osibisa, Mulato Astatke) alongside new converts Annie Whitehead (trombone – Jamiroqui, Dr John), Mark Jay Smith (bass – Hardware, Infinite Wheel), Jessica Lauren (keyboards – Tom Browne, Juliet Roberts), Godwin Awala (percussion – Kush, Nana Tsiboe) and Ed Riches (guitar – Beverley Knight, Omar). This talented new line up has been writing fresh material that fuses exciting, joyful dance beats with punchy horn lines and surreal arrangements. It’s been a while coming but I spotted a Pigbag gig on an email from Ticketmaster. Saturday 26th March 2011 at The Jazz Cafe in London. Tickets go on sale tomorrow at 2pm according to the page on TicketMaster. Nothing about it on the official Pigbag or Jazz Cafe websites yet. A bit late but I noticed that Angela from Pigbag was one of the many artists participating in the “Punky Reggae Birthday Party” in New York in tribute to Ari Up of The Slits who died last year. The event was on Sunday 16th January 2011. More info at the blog on The Village Voice.